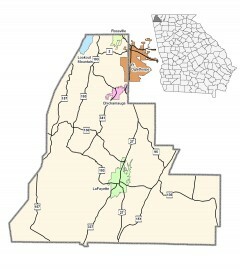 Walker County, the 99th county created in the state, was formed from part of Cherokee County in 1833. It was named after Major Freeman Walker of Augusta, a lawyer and U.S. Senator. Walker County is home to the John B. Gordon Hall which is the oldest standing brick school building in Georgia, completed in 1836.